Vancouver Roofing Contractor 604-259-0011, 5 tips on what to do when hiring a roofing contractor in Vancouver. Fly by night operators are far too common in the roofing industry. You may remember a local TV station doing a rip-off report about a roofing company in Vancouver recently because it happens all too often. Do a little research before hiring a company you found online. Be extra cautious if your neighbors have never heard of them and the price seems too good to be true. Reviews are everywhere online now so it will be easy to find out what others think of a company. A great place to visit online is Home Stars. They make it easy for people to leave comments and some companies will have a long list of reviews to look through. Keep in mind some people complain about the most trivial things so it’s quite common to see negative reviews on an honest company. You should look for the overall score and go with the average. Other places to look are the obvious like Google, Yelp and Angie’s List. 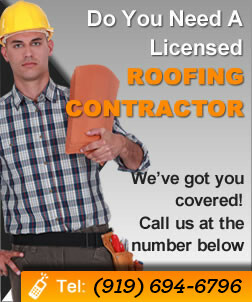 A reputable roofer should be able to offer you some kind of warranty. The warranty is actually a good selling point and easy to discuss if they are consistent with the quality of their work. Most roofer’s show this aspect of their business on their website, so look for evidence of it there. A written agreement will be more important on a commercial project but also important on a residential job because you will want to know when to prepare for things like extra parking and for the noise and debris. If things are not going according to plan you can show them your time line and put the pressure on if needed.